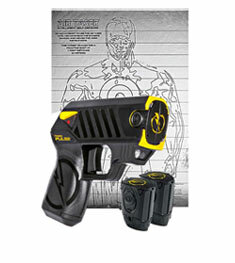 TASER X26c, TASER M26c, TASER Pulse, TASER Bolt, and the TASER X2 Defender are all on sale. 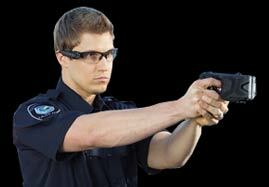 Taser Guns are still the preferred non-firearm choice of professionals! TASER DEALER OVER 15 YEARS! NO. 1 TASER DEALER IN THE U.S. 5 OF THE LAST 8 YEARS! 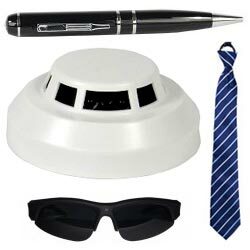 This website is the world's premier source for TASER information and product sales. 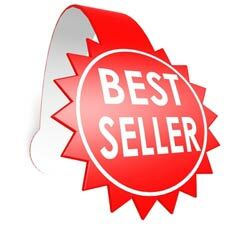 It features over 75 pages dedicated to TASER products that include TASER model comparisons, frequently asked questions, TASER laws, police and military videos, TASER company information videos, and substantial discounts on TASER products! TASER Guns were first developed in 1969 and have literally saved thousands of lives. Law enforcement officers say TASER guns have the equivalent stopping power of a 357 Magnum pistol. 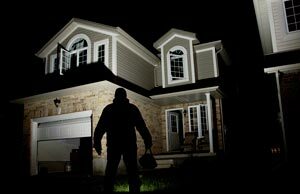 For regular citizens, the TASER is considered to be the best non-lethal protection device you can own for your home, business, while in a motor vehicle, or to carry for self-protection. It doesn't matter if the assailant is under the influence of powerful drugs, such as PCP or any other potent drug or alcohol. Further, the darts can connect with anywhere on the assailant's body and still be effective. These units are extremely easy to use and definitely reliable when circumstances require deployment very quickly under stressful situations. 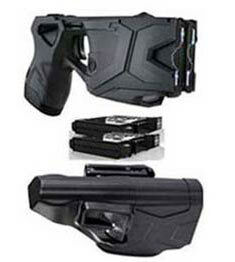 What is the difference between a TASER gun and a regular stun gun? 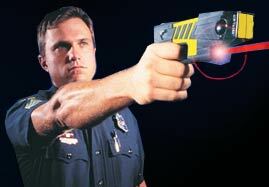 Many think that any weapon that discharges electricity is a "taser", however, this is far from the truth. 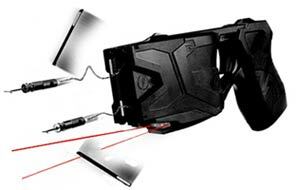 TASER guns are stun weapons, manufactured only by Axon (formerly TASER International), of Scottsdale, AZ. 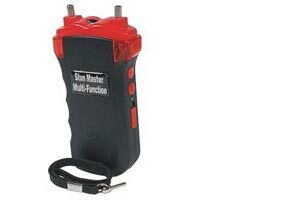 All TASER models can be defined as stun guns, however, are more accurately defined as "projectile" stun guns. 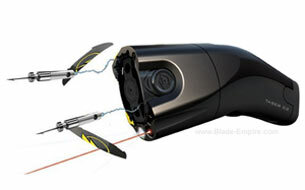 TASER guns fire two darts a distance of 15 feet, disabling attackers from a safe distance. 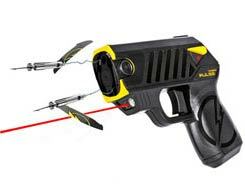 All stun guns are not "tasers". 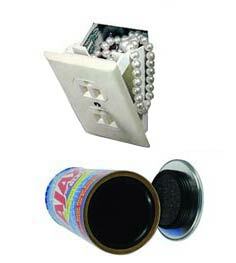 "Stun guns" that are not manufactured by Axon do not fire darts, but are "direct contact" devices. 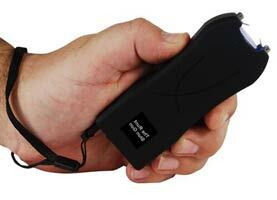 A direct contact stun gun user must actually touch assailants with the unit to disable them. 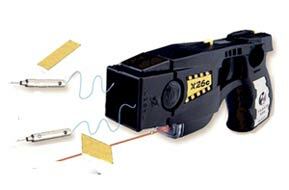 In addition, many question if direct contact stun guns are more powerful than TASER guns, being their voltage is so much higher. Actually TASER devices deliver a stronger shock than higher voltage direct contact stun guns, being all 4 TASER models' wattage and amperage output is much higher. 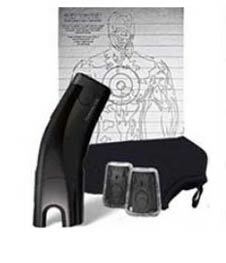 Even though higher voltage direct contact stun guns are effective in disabling assailants at close range, all TASER models have more take down power, and disable assailants from 15 feet away. 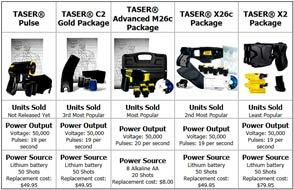 Why buy from the TASER SuperStore? 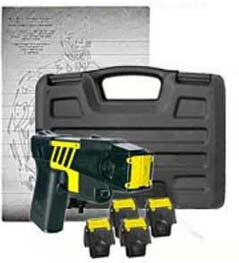 We have sold TASER guns for over 14 years, more than any other dealer in the world for 9 years in a row. Purchase from a company who will stand by you for many years to come. 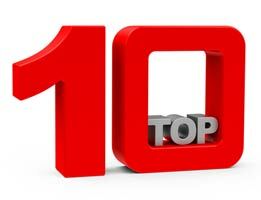 Many of our long term customers are impressed with the fact that we have had the same 800 number (800.960.2015) for the last 12 years. Orders placed by 2pm ship the day they are placed. 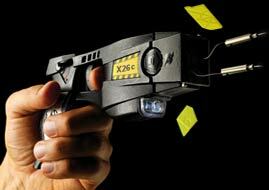 A TASER® gun can totally incapacitate even the most aggressive assailant from up to 15 feet away. 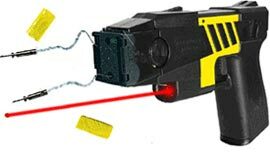 The TASER Gun is used by thousands of law enforcement agencies, security officers, military personnel, bounty hunters, private investigators, body guards and private citizens throughout the world. This website offers an abundance of TASER information, including TASER demonstration videos, frequently asked questions, product comparisons and more. 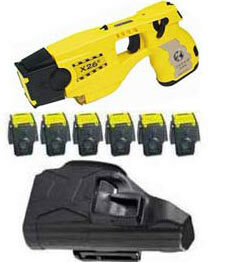 Compare all TASER model features, voltage, popularity, etc. by clicking here. Note: To protect your privacy, all packages show "World Net Enterprises" as the sender. 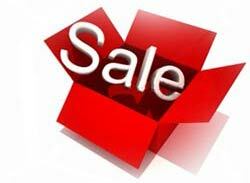 "Next Day", "Second Day", "Third Day" and "Saturday Delivery" orders must be placed by 2:00 P.M U.S. Central time. Note: To protect your privacy, all packages show "World Net Enterprises" as the sender. "Next Day", "Second Day", "Third Day" and "Saturday Delivery" orders must be placed by 2:00 P.M U.S. Central time. 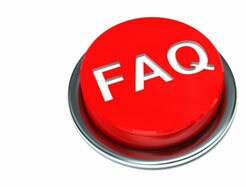 The TASER Gun is not classified as a firearm by the FTA. 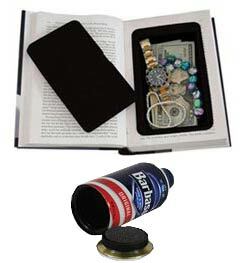 It is lawful to carry them in 46 states, concealed or openly. They are banned from regular citizen use in four states, including HI, MA, NY & RI. 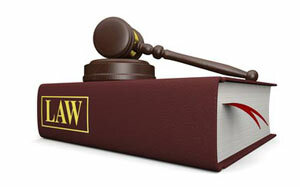 To view a "Law Statutes Summary" concerning concealed carry, carrying openly and the overall use of TASER Guns, click here to view our summary of laws by state for law enforcement and consumer.